146 in stock Need More ? Reprint. Originally published: London: Viking, 1991. A Hay Festival and The Poole VOTE 100 BOOKS for Women SelectionThe modern classic of contemporary war fiction - a Man Booker Prize-nominated examination of World War I and its deep legacy of human traumas. 'A brilliant novel. Intense and subtle' Peter Kemp, Sunday TimesCraiglockhart War Hospital, Scotland, 1917, and army psychiatrist William Rivers is treating shell-shocked soldiers. Under his care are the poets Siegfried Sassoon and Wilfred Owen, as well as mute Billy Prior, who is only able to communicate by means of pencil and paper. Rivers's job is to make the men in his charge healthy enough to fight. Yet the closer he gets to mending his patients' minds the harder becomes every decision to send them back to the horrors of the front. 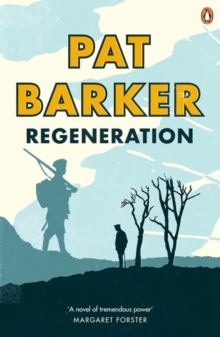 Pat Barker's Regeneration is the classic exploration of how the traumas of war brutalised a generation of young men. This is the first novel in Pat Barker's Man Booker Prize-winning Regeneration Trilogy:I: RegenerationII: The Eye in the DoorIII: The Ghost Road'A vivid evocation of the agony of the First World War and a multi-layered exploration of all wars.